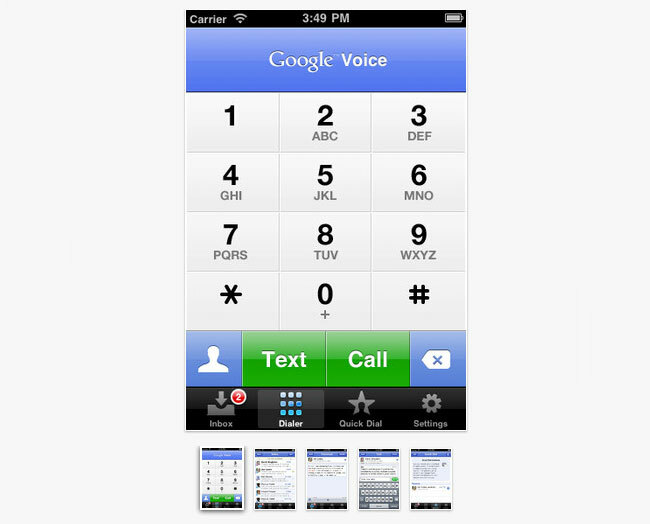 After being pulled from Apple’s iTunes App Store Google Voice application has now returned as an iOS 5 friendly version. Just under a week ago the application was pulled by Google due to complications which caused it to crash when used with Apple’s new iOS 5 operating system. Even though the application was not affecting everyone, the Google Voice version 1.3.0.1771 when used on an iPhone 4 running iOS 5 was definitely causing issues for some and Google did the right thing and removed it from the App Store. The new update also brings with it the ability to dial numbers you have previously called with no data connection required. So if you are running the new iOS 5 new iPhone 4 you can now jump over to Apple’s iTunes store to download the new iOS 5 compatible version of Google Voice.